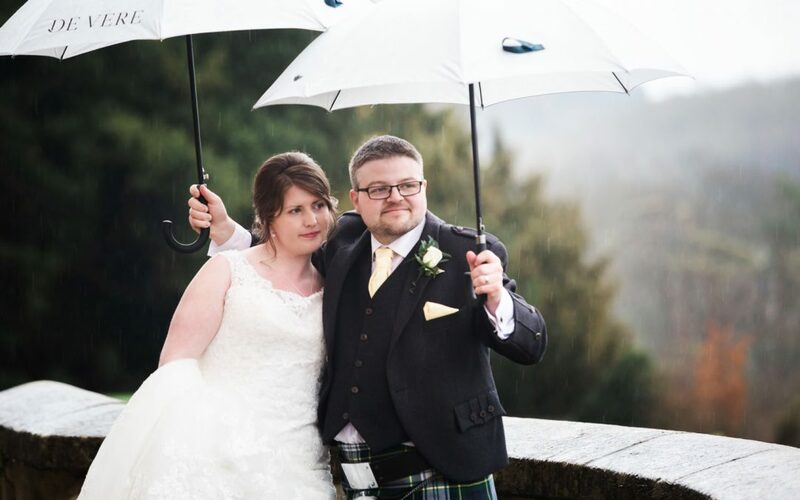 If I had a pound for every time I heard a couple (jokingly) ask whether I could organise good weather for their wedding day, then perhaps I would be able to guarantee a rain-free wedding by simply following the advice of the Daily Telegraph and pay for it! In the Daily Telegraph article published on the 27th January 2015, they quoted Oliver’s Travel claiming they offer a service that would ensure your wedding is the talk of the town. According to this article the Perfect Day Cloud Bursting service starts from £100,000 and involves cloud seeding technology that was developed in the 1940’s. But how does it work and what does cloud seeding mean? Basically, according to the Telegraph, meteorologists will use silver particles to burst clouds and ensure they vanish before the big day. The article goes on by claiming the technique was famously used during some show-stopper events, including the 2008 Beijing Olympics and the 2011 Royal wedding. Apparently a light aircraft will fly above the clouds from where meteorologists can safely sprinkle the silver particles on the gathering clouds and there you have it… a clear, bright day for your wedding. Well, it certainly sounds like an April fools joke and the skeptic in me thought it would be just that. However, I called Oliver’s Travel and it turns out it is not a hoax after all. The lady I spoke to confirmed they do indeed offer the Perfect Day Cloud Bursting Service and for the price tag of £100,000 they could guarantee perfect weather on your wedding day! For those of us however that can’t afford to pay £100,000 for perfect weather, there is always hoping for good weather and having a failsafe backup plan in place. One of the venues where I regularly photograph weddings, produce stunning outside ceremonies in a lovely garden gazebo. I know from experience The Pavilion at Lane End offers to host the wedding ceremony in the main Pavilion room in case of rain. For anyone that have their heart set on an outdoor wedding, this really is the next best thing as the main room offers floor-to-ceiling windows with panoramic views of the grounds and golf course. Having said that, last year, 95% of weddings booked at The Pavilion had their ceremonies conducted outside in the Garden Gazebo – despite the British weather. Outdoor weddings are becoming increasingly popular in the UK despite the British weather and the lack of wedding venues licensed to host outdoor ceremonies. Last year I photographed three outdoor weddings, and this year I have four outdoor weddings to photograph between May and August. Jenna & Dimitrios (pictured) were married at The Pavilion in 2014. They had their outdoor wedding ceremony in the Garden Gazebo but they came prepared with branded umbrellas to use during some sporadic bursts of rain.